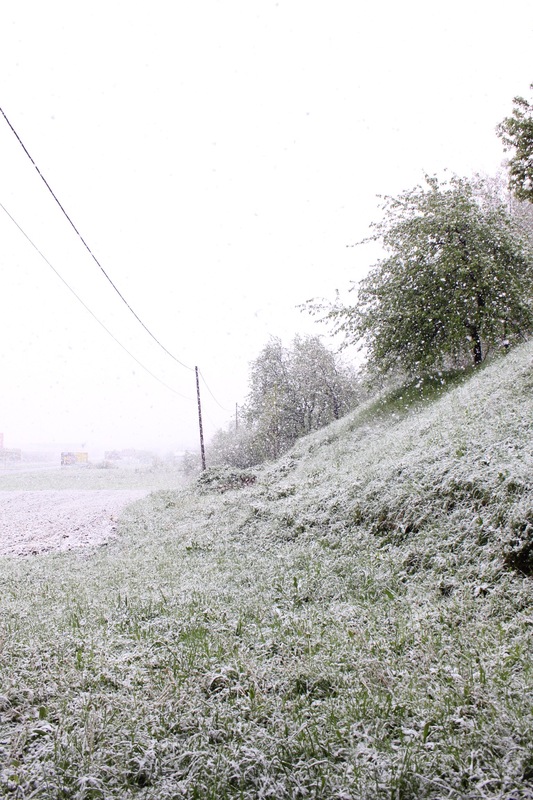 Rain, Snow and Shine – the extreme weather changes in Bosnia! 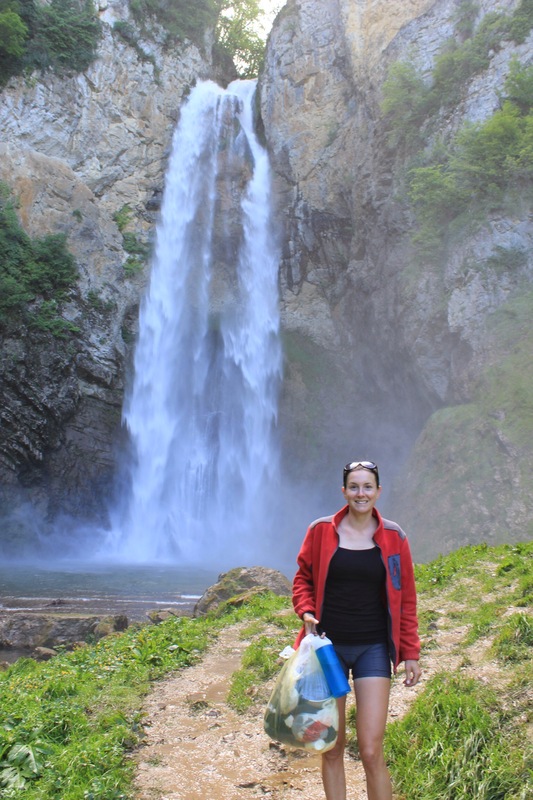 ﻿We stayed in a campsite outside the city before heading towards the town of Travnik. With thunderstorms and rain due that night we took cover off the road in an abandoned semi built house which looked as if it was going to keep us dry. It was a bit early to stop but at least we would be safe from the weather when it decided to lash down later that evening. We waited… and waited… all night for the rain to hit but it didn’t start until 4:30am when it dutifully came teeming down. 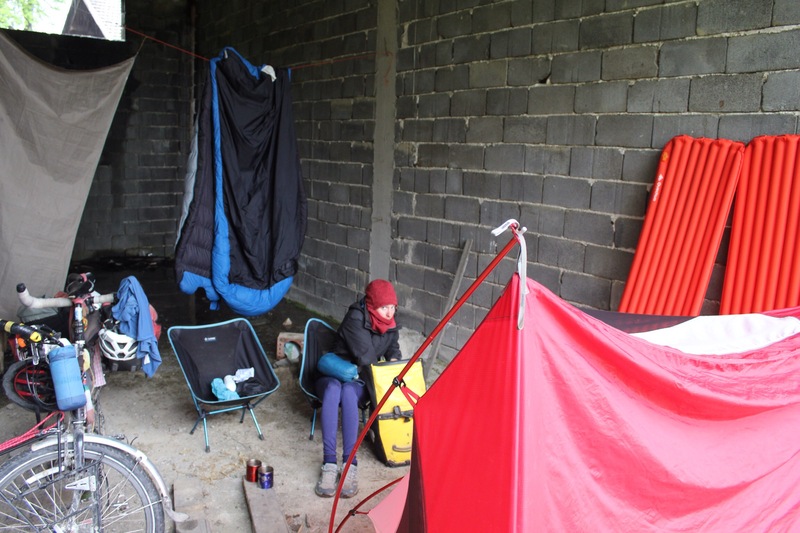 Unfortunately for us the building wasn’t as waterproof as we though and we woke the next morning to the tent sitting in a pool, water seeping into the tent and all our gear waterlogged… Frustrated and grumpy we climb out and try and dry everything off as well best we can. The rain continues all morning and at 11am turns to thick snow which eventually starts to stick. We cower in our shelter and watch all the tv programmes we’ve downloaded from BBC iplayer hoping it’ll stop. It doesn’t, and at 2pm we admit defeat and decide to find a restaurant for dinner. We weren’t going to get anywhere today… The best place we find is a pizza joint in a big shopping centre where we hide for the rest of the evening. The snow melts quickly but it’s still pretty cold and we simply head back to the same shelter for a second night. Selim our Sarajevo host had suggested a route to Banja Luka but the road was really busy with traffic so we reconsulted the map to see if there was an alternative route. We spotted a smaller road – the R440 – which would take us up over a 1000m pass instead. The climb initially was very manageable and thankfully, the weather dry and sunny. We passed through some nice villages. 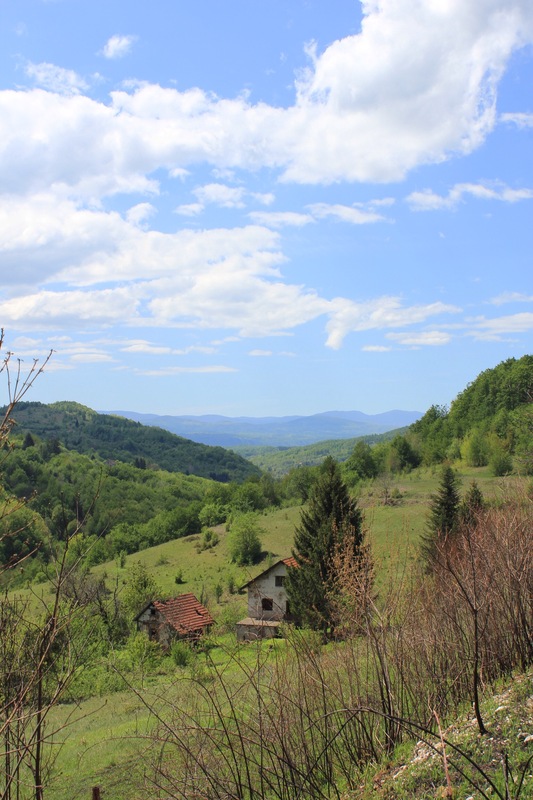 Communities outside of Sarajevo, feel more segregated between the three ethnic groups. Further down the valley we had seen lots of Croatian flags and Croatian beers for sale but up here we suddenly find ourselves cycling past Mosques with the house doorways and vegetable patches are full of women wearing colourful Turkish trousers and head scarfs. In short we do. 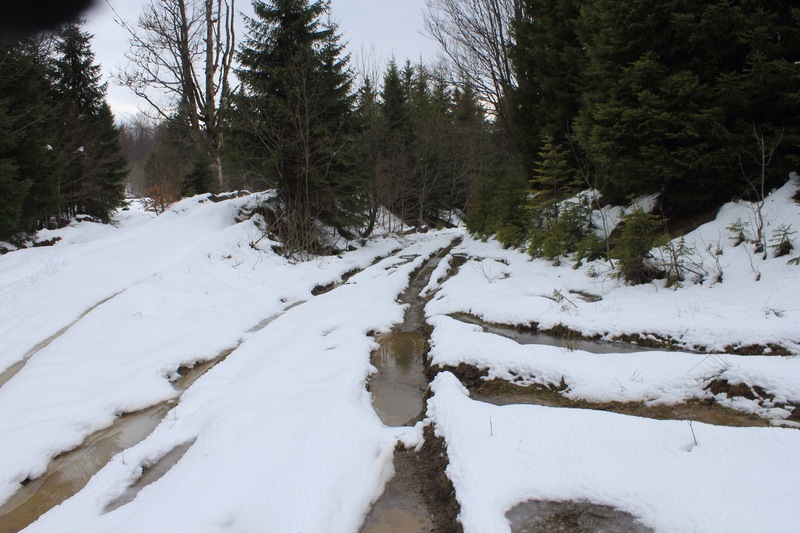 The road gets gradually worse and worse and patches of melting snow start to appear. We’re able to cycle through most of these and we are cheered by some fresh boot-prints on the track too. Then we encounter our first major hurdles: first a dug out trench which covers the whole road apart from a thin slice at the side where we precariously push the bike across, the back wheel sliding slowly into the ditch as we go. Then, around the corner, a man made mound which we have to lift tandem over. Overcoming these obstacles the track starts to snake upwards and disappear under icy water… Melting snow. Up we scramble – at times pushing the bike through inches of fast flowing water. Paddy’s shoes do not hold up well to this treatment! 1km from the top we’re faced with this. The boot tracks are still visible which tells us that a person has definitely used the road as a thoroughfare quite recently – this is encouraging. As we’re struggling up the last section a deer walks out onto the snow and turns his to look at us. We realise the remoteness of our surroundings and then get back to heaving tandem to the top. Here we are able to get back on board and fortunately it’s not as steep on this side so we’re able to wheel slowly down and we only skid and fall over once – me, unusually, taking the brunt of the fall this time. After a short while we find ourselves on a dirt track, the countryside opening up in front of us. We stop outside a house where a friendly family come out to say hello. When we point in the direction we’ve just come they look at us as if we are slightly insane! We meet back up with a proper road soon enough and we enjoy eating up some easy miles freewheeling down through the valley where at the bottom we dip into an open field and set up camp for the night. The next day was very hot! Quite a change from the snow, sleet and freezing temperatures we had the previous days! We reach Banja Luka which is the capital of the Republika Srpska state. 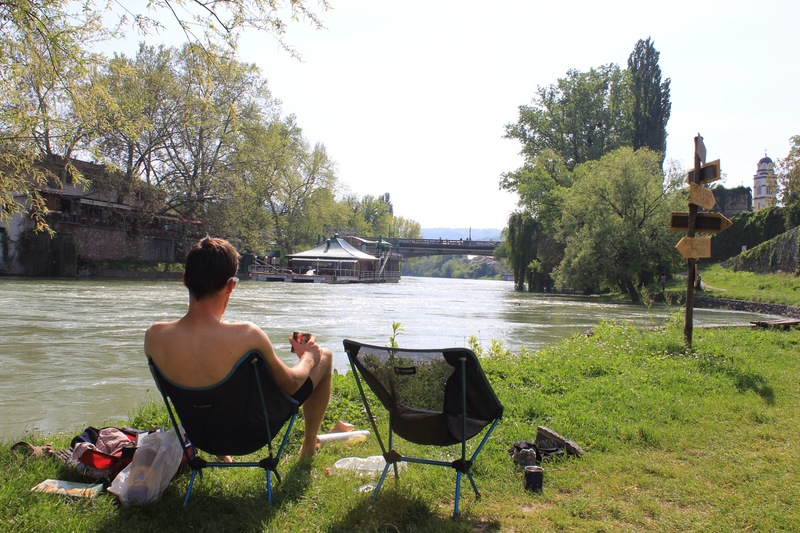 We sit and enjoy basking in the sunshine next to the old castle ruins and the river with no desire to do too much more cycling. We decide we can’t set the tent up here though, however tempting, so we head out of town and swing west through some lovely rolling green countryside which reminds us both of the U.K. We pass a sign for a waterfall and decide we have time to investigate especially as it might provide a good opportunity to wash ourselves and our clothes. It’s a good waterfall and although the water is freezing we both brave a bath and feel very refreshed after. It happens to be a public holiday that day so lots of families and neighbours are sitting out in their gardens together as we pass. At 6:30 we approach a red faced farmer who is busy fixing his tractor outside his house and ask if we can pitch our tent in the field over the road. There’s an amazing sunset. Our final day and night in Bosnia saw us make good headway through some very beautiful remote countryside towards the border with Croatia. Lots of rolling hills and quiet lanes lined with green hedgerows full of familiar flowers and plants. A nice few final days in Bosnia which has been really enjoyable despite the extreme changes in weather. We had arranged a warm showers host in Sarajevo which was a real treat. Selim and his wife Yasmin and two lovely daughters hosted us for two nights and we really enjoyed talking to them both. Naturally they both remember the war vividly. Hearing their personal stories about what it was like to live in a sieged city for nearly four years was chilling but important to hear. Tales of living in an apartment where your front room was crumbling onto the pavement below after being bombed, and the whole block only having one working toilet between 60 people. Having to run from building to building to avoid the shots from the snipers and living in constant fear with only UN peace troops to rely on for basic provisions. 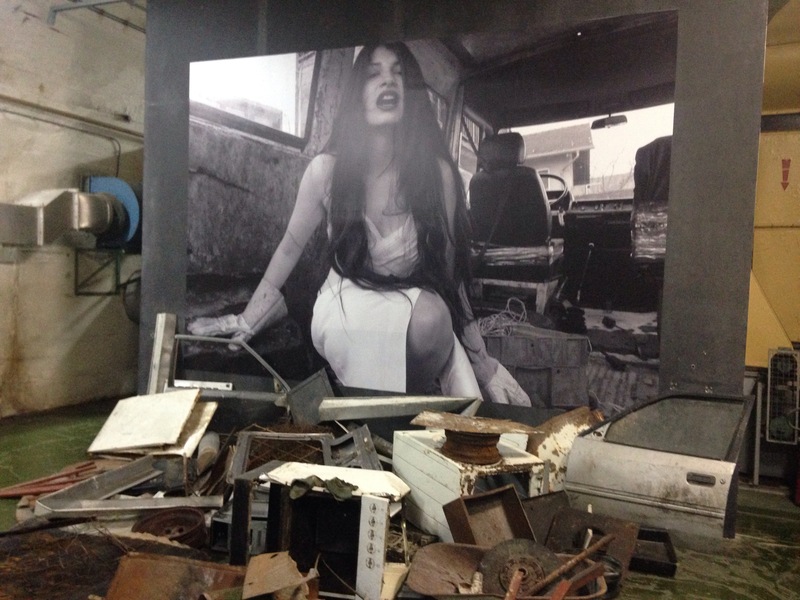 The Siege of Sarajevo lasted nearly four years and was the longest in modern warfare. The city sits on the small Miljacka river and is surrounded by hills. 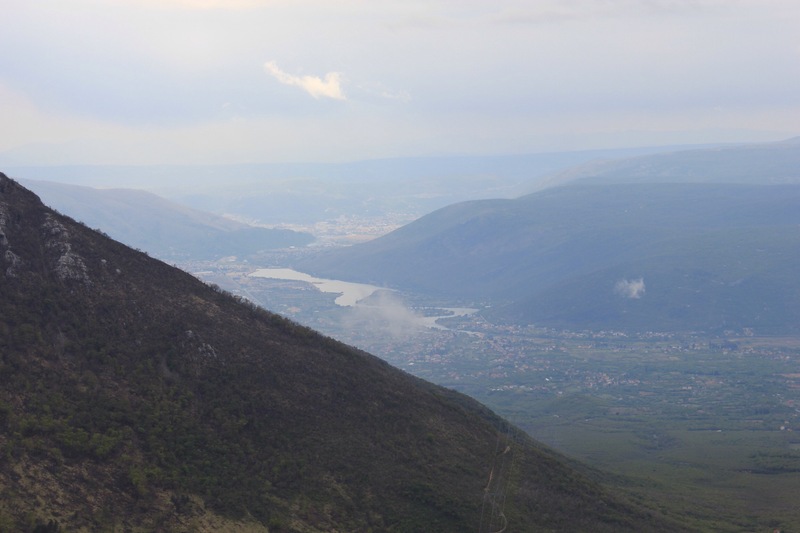 This is where the Serbian backed﻿ troops stationed themselves; able to completely surround the city and its inhabitants. We enjoyed listening to their accounts of how individuals carried out small acts of defiance against the siege. People carrying on going to work despite no paycheck, and of course the famous Miss Sarajevo beauty competition. Sarajevo wasn’t the only city to be sieged. When the war ended in 1995 the city was unrecognisable with most of its architectural heritage (a wonderful mix of Ottoman and Austro-Hungarian design) and cultural sites lost. The traces of the war have now almost disappeared although a number of the building’s walls have bullet holes. 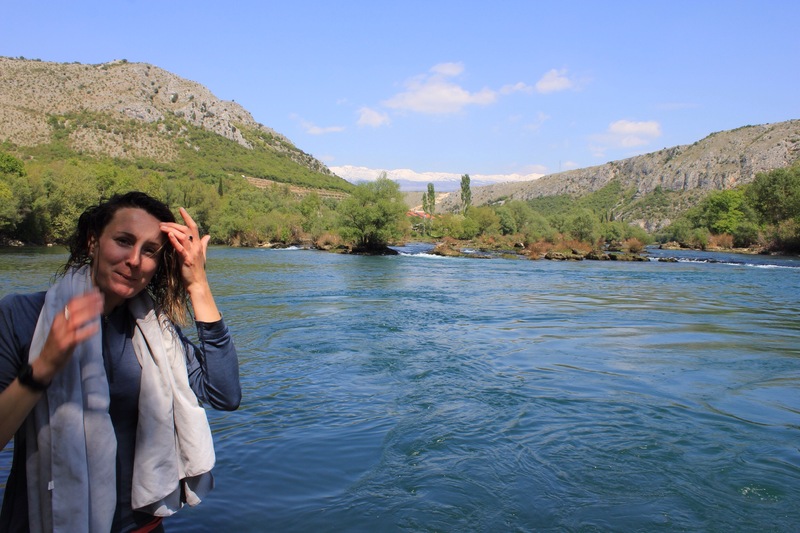 We also enjoyed talking to Selim about lots of other things too, everything from philosophy to politics – it’s nice for our travels through Bosnia not to be completely dominated by the War… Selim is an interesting guy who is one of those people who is always learning new things. He’s got a degree in contemporary art and sculpture, another in Arabic and is currently in the midst of a part-time degree in Philosophy. He has a full time job working for the train company as well as two kids… and he likes to host cycle travellers in his house!! An inspiration to us all! On our first day in Sarajevo we signed up to a free walking tour in the morning. These are tours run by individuals and they work on a tip based system. What’s good about free walking tours is that you tend to get a really personal perspective of a city. Our guide was great and the tour was titled ‘East meets West’. It explored the mix between the Ottoman heritage and the later Austro-Hungarian influences. 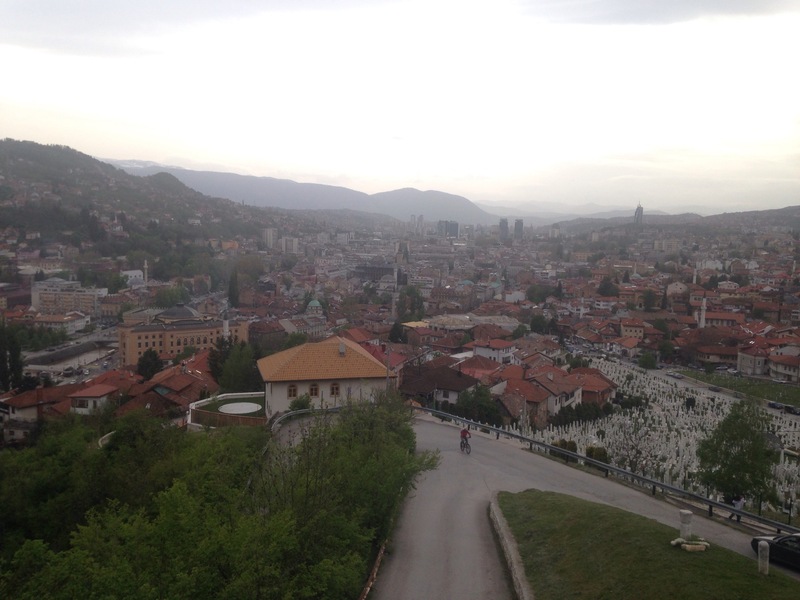 Sarajevo is predominantly Muslim and has over 200 mosques. But it also has lots of Churches, both orthodox and Catholic. Sarajevo has always been home to a diverse mix of people, a tolerant city where different ethnicities and religions have lived harmoniously. It’s probably one of the reasons why the city’s inhabitants where some of the most confused victims of the war – they don’t understand how the country fell into such hatred. The tour also touched on the years of Tito, and our guide gave a great personal account of how he was so idolised by his people. 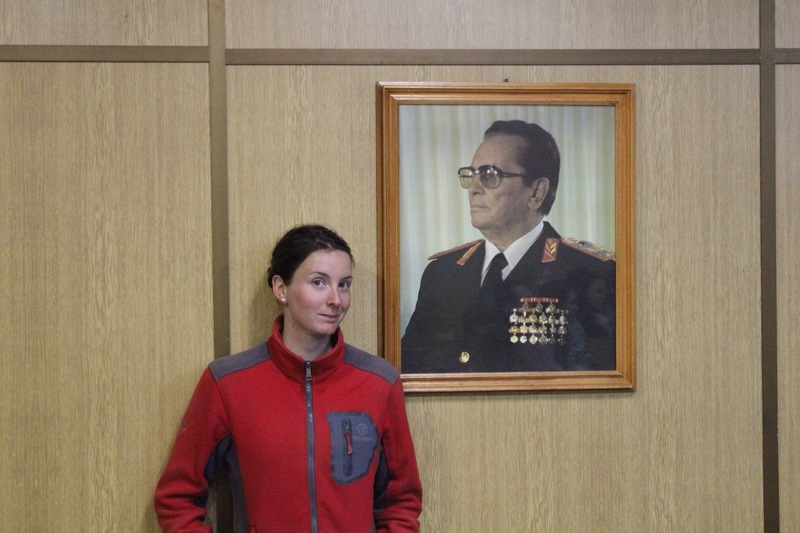 Religion was frowned upon in the communist state, but she said people didn’t mind giving up their religious icons because they had Tito to idolise instead. 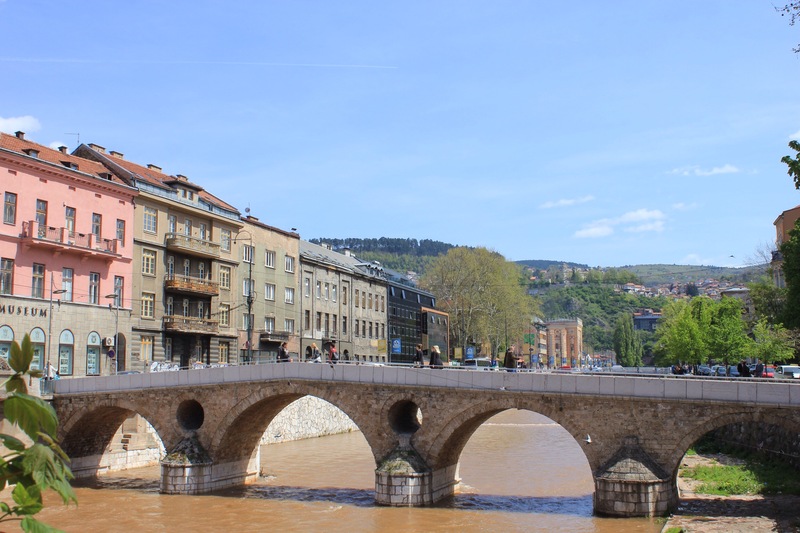 As well as its more recent history, Sarajevo has one other claim to fame in history – it happens to be home to the bridge where Franz Ferdinand was shot, kicking off the First World War. The ‘Latin’ bridge – it’s worth looking up the story of the assassination! We had great weather while we were here – it had been minus degrees with snow just a few days before – and one afternoon we walked up one of the hills to overlook the city. We also treated ourselves to a date night Indian meal at the only Indian restaurant in the city. Oh and I almost forgot, we both got haircuts! On our last afternoon we visited the War museum and took a few hours to learn about Srebrenica and the mass genocide, where 8732 Muslims boys and men (count so far) was carried out by the Army of Rupublika Srpska (backed by Belgrade) during the war in July 1995. It’s horrendous that this was ever allowed to happen and you can’t help but blame the UN peace effort (or lack of). 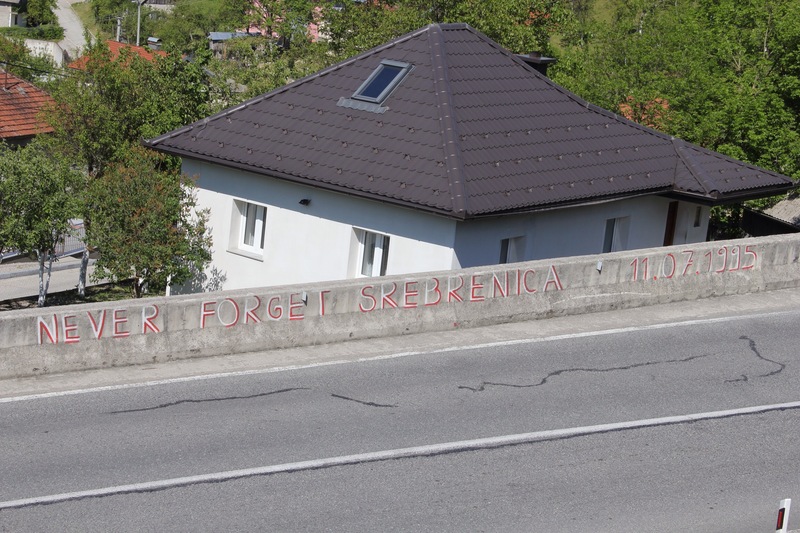 This massacre and accompanying displacement of thousands of Muslim Bosniaks are the worst crimes which have happened on European soil since WW2. What happened here has naturally inflamed ethnic tensions, especially as many Serbs, both in Serbia and the Republika Srpska state of Bosnia and Herzegovnia, refuse to accept what happened, The ﻿army generals and leaders who were responsible for this systematic ethnic cleansing are still seen as national heroes by many – despite them being committed for war crimes in The Hague. From here we’ll cycle north towards Banja Luka, the defacto capital of the Autonomous region of Republika Srpska. Another cold snap is due to roll in, the weather has been extreme here so we’ll see how we get on with that. Hopefully it won’t slow our progress too much! 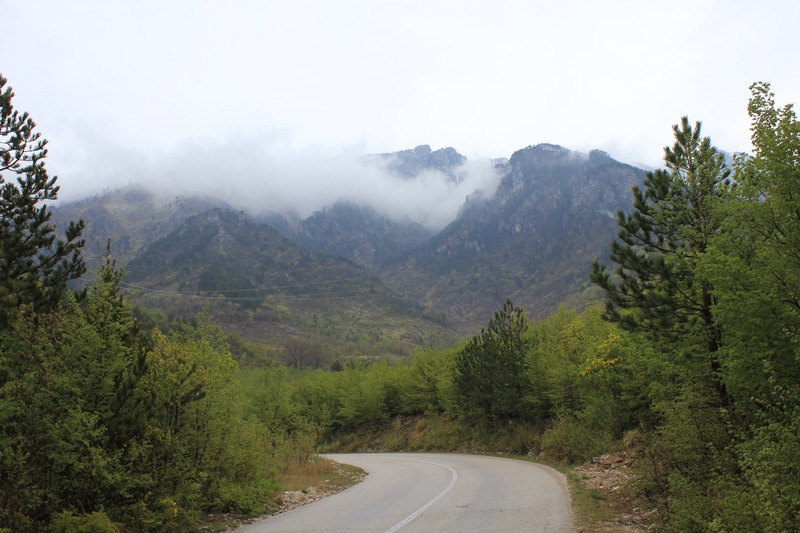 It’s an easy days cycle to Sarajevo from Mostar but we were both keen to get off the main road again as there was no hard shoulder and rain forecast for the next day. Instead we opted for a much more difficult route involving 2 climbs but hoped it would be a scenic climb. Still being wary of the land mines we asked a young lad if it would be OK to camp in the orchard behind his house. After running off to ask his dad and grandad we’re waved in, shown a great spot for the tent and offered a peppermint tea. The house is a new build situated right next to a beautiful old stone house who’s roof has gone. The lad – Mark – speaks perfect English and explains that this house was once the family home for generations but it was destroyed during the war. We fall asleep to the sound of an excellent singer performing the call to prayer – Mostar is predominantly Muslim. Paddy and I have got quite good at discerning the good singers from the bad by now and we are sad that Bosnia will probably be the last country where we are likely to hear it regularly. We find it very comforting and quite beautiful. We have found the standard in Bosnia to be excellent and they seem to have a slightly different style from others we’ve heard in places such as Turkey and Iran. We sleep well but wake up to lots of rain – a bit of a nightmare when trying to put everything away under the tent. We find cover in our guests old porch and manage to pack the bike up before starting the climb in what is now persistent drizzle. The climb ends up being a humdinger and we grind along at 4.5km for nearly 2 hours up a valley. Mist rises up like puffs of smoke to join the low lying cloud as we struggle up sweating in our rain jackets. One minute I’m in shorts and t-shirt despite the cold the next fully thermal. Near the top the road turns to switch backs and with these an easier incline. The clouds part for a quick snap of the valley, Mostar in the distance, before the next weather front comes in and the rain turns to thick snow. Fortunately we find a very cosy lunch spot in a swanky pub on the other side of the pass and decide we’ve earned a bit of luxury. It’s a great spot with an open fire and lot of locals enjoying a warming Sunday lunch. 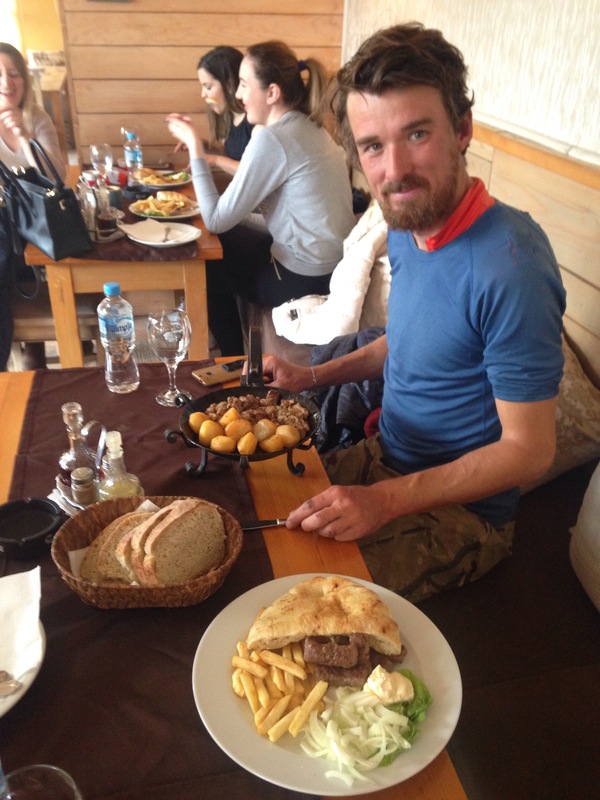 Bosnian food doesn’t really divert from what Paddy and I now call the Ottoman diet. I.e a version of some cooked meat with bread. The national dish is Cepavi – a plate of small kebab sausages in a flat, pancake-like bread with raw onions. It’s no cunelry masterpiece but it’s good for a hungry cyclist. 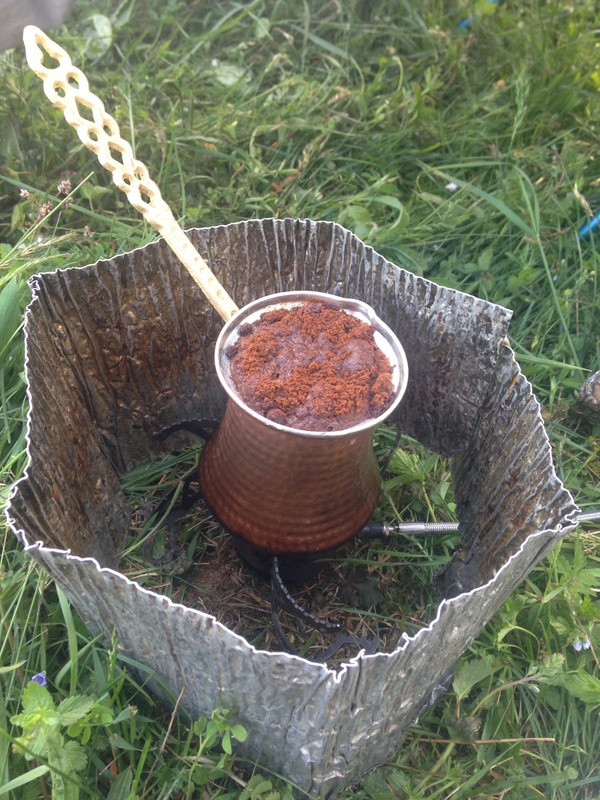 This flirtation with meat and bread has continued throughout all of the Balkan states and it’s definitely a custom which comes from Turkey – as is the coffee which is essentially prepared the same way as Turkish coffee. After lunch we have another steeper but shorter climb and the asphalt disappears and we have 20km of bumpy, stony track and there’s quite a bit of snow at the top. As we descend into the next valley the track overlooks an amazing gorge with a crystal blue lake and a picturesque town called Jezero at the bottom. 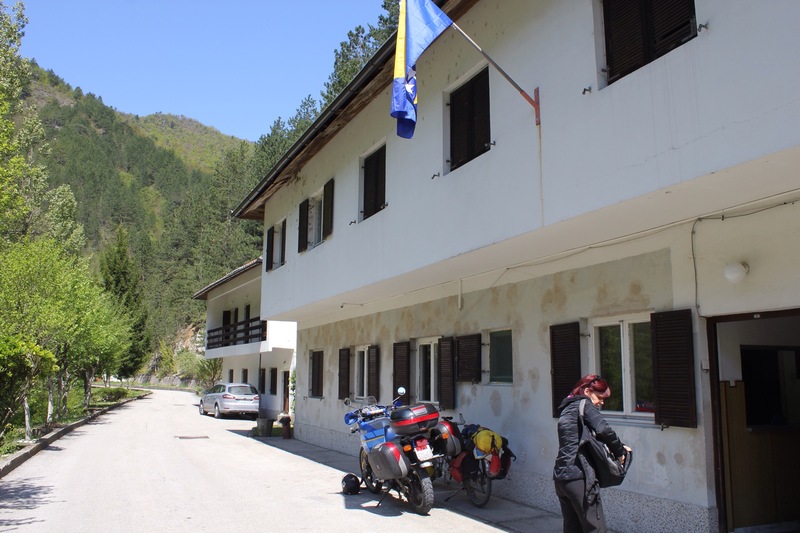 We finally meet back up with the asphalt and freewheel down to a town called Konjic where we begin to look for a camp spot. We meet Philip a motorcyclist from Germany who coincidentally happens to be searching for somewhere to pitch his tent too! We end up choosing a nice grassy field at the top of the town next to a ploughed field and empty house. I go off to knock on a few of the nearby houses to check its all ok before we get set up. It’s a cold night and our tents are stiff with frost and water half bottles frozen the next morning. We lie in bed waiting for the sun to pierce through the thick mist hanging in the valley. Fortunately a nice lady invites us in for coffee in her cosy sitting room and by the time we leave it’s warming up with plenty of sunshine. Over dinner the evening before, Phillip had told us about a sight of interest nearby which had been the secret location of Tito’s nuclear bunker. Naturally we were interested so we made plans to all head up together to check it out. Philip didn’t know much about it so it was a bit of an unknown and it wasn’t until we finally found the site that we realised the awesomeness of what we had stumbled across! During the height of the Cold War the leader of Yugoslavia Tito – like all the leaders at that time – believed that a nuclear war was teetering on the edge of becoming reality. And being a communist state who was not part of the Warsaw Pack Yugoslavia was in rather a precarious position! 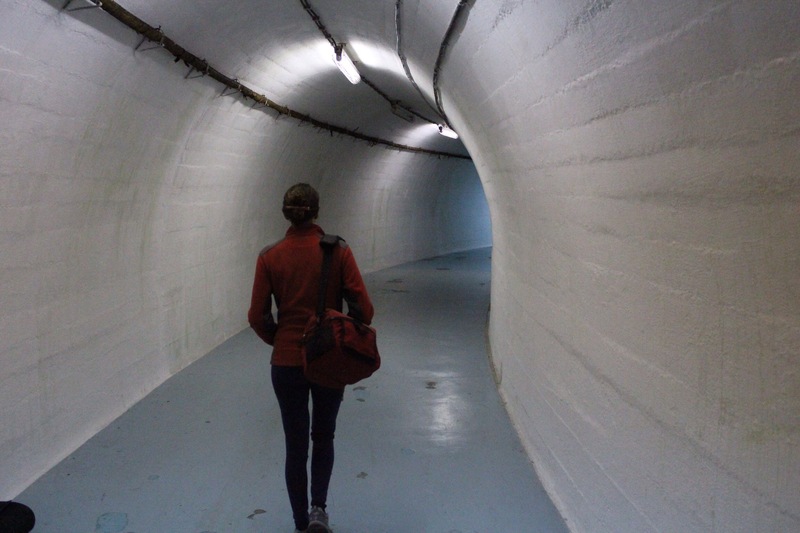 So Tito ordered for a state of the art top-secret bunker complex to be built deep underground. The site chosen was just outside this small quiet village of Konjic, set on the banks of a river from where the bunker was tunnelled deep into the mountainside. These two ordinary, very unassuming houses mark the entrance to the crazy military world within. It’s so well hidden that it took Paddy and I an hour to find the entrance! 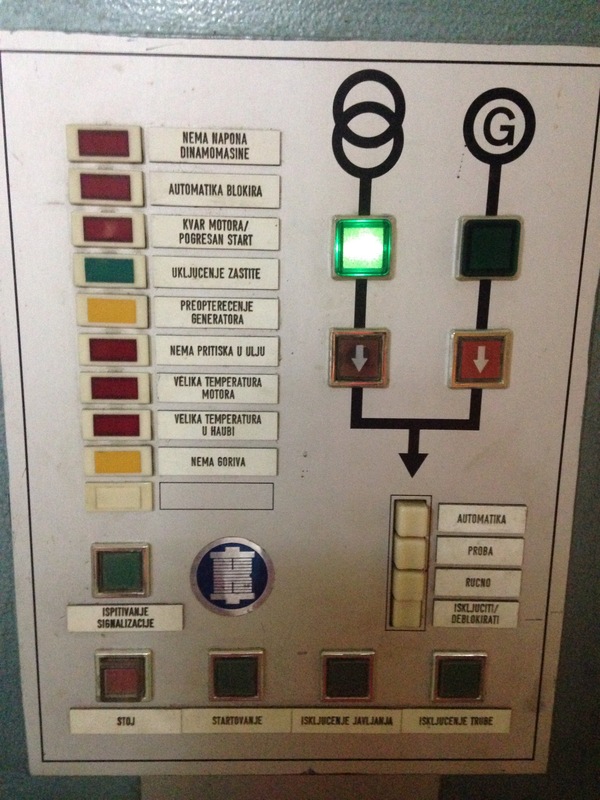 The deepest rooms are 280m underground and could house 300 military personnel and a handful of Tito’s closest advisors and family members for up to 6 months. The extent of the complex just shows how real the threat must have felt and it makes you wander what kind of military complexes our current political leaders have incase amgeddon strikes! 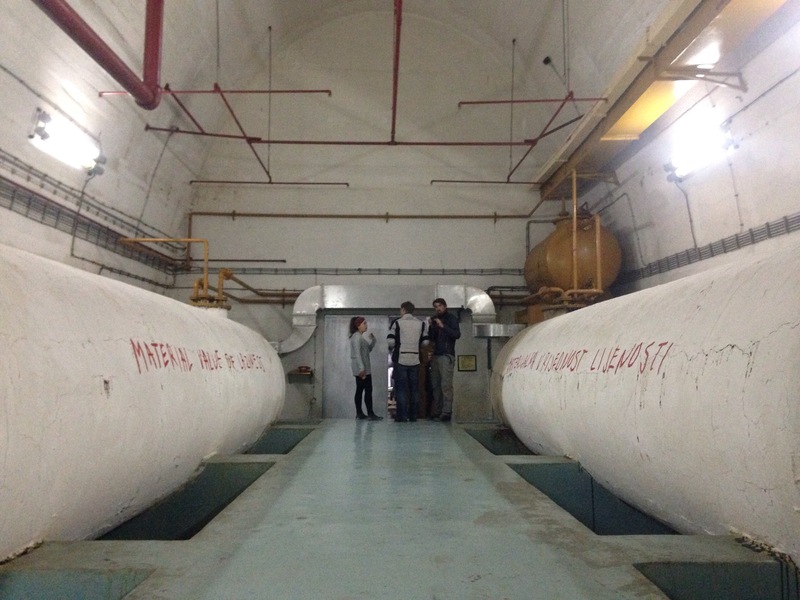 The tour of the bunker takes around 90 minutes. 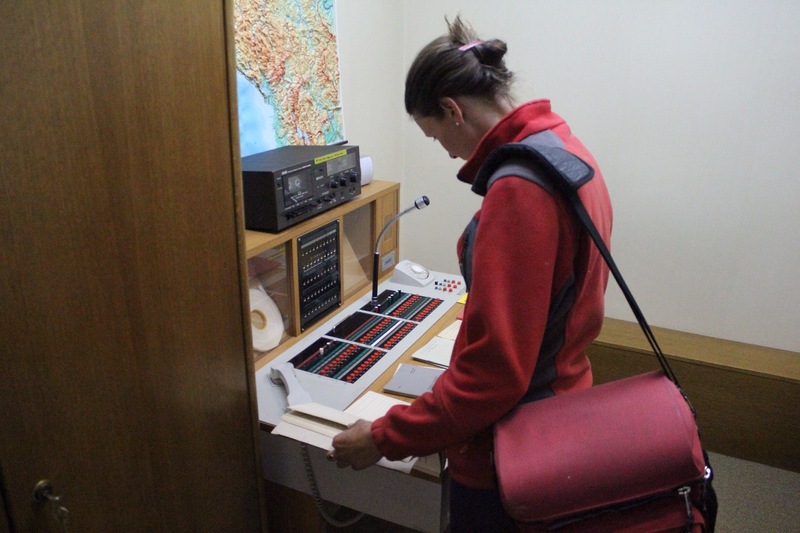 The whole area makes up 15,000 square meters and is complete with everything that 400 people might need to survive a nuclear attack. Fresh water, 2 huge oil tanks, a huge air conditioning system, a secret helipad and access tunnel and state of the art communication devices. The whole place feels like the interior of a large ship. 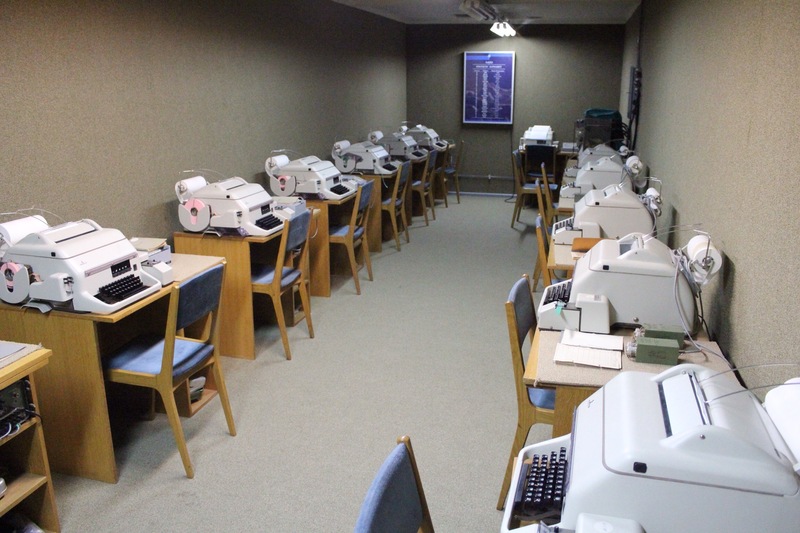 The bunker took 26 years to build and the engineers working on it were blind folded on their way in and out and sworn to total secrecy regarding their work. 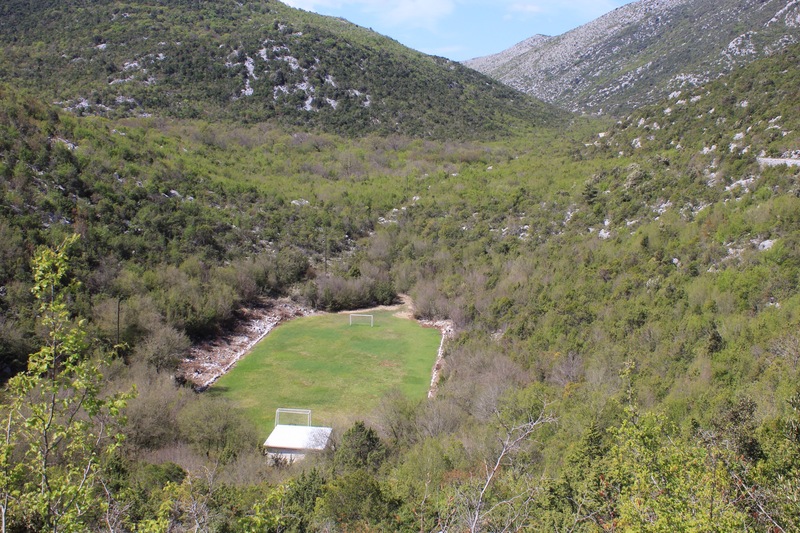 What is perhaps so surreal about this place is that it is totally unused – it was completed a year before Tito’s death in 1980 and has been left untouched until a few years ago. Everything is pristine and even some of the furniture still has its plastic wrapping on it. A perfectly preserved time capsule of the 60s and 70s. It is very very cool! 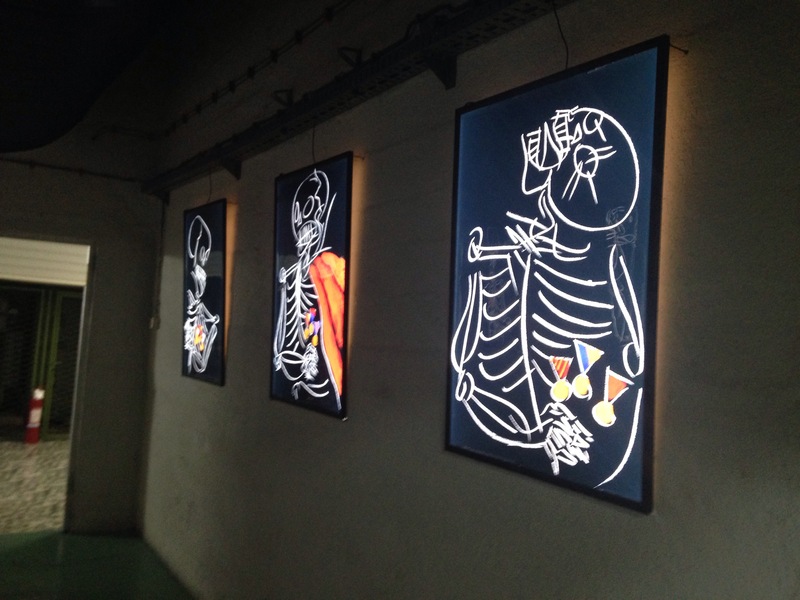 To make the place feel even more surreal, the complex is also a curated exhibition space so as well as large portraits of Tito on the walls, there are over 100 art installations which you encounter along your way. 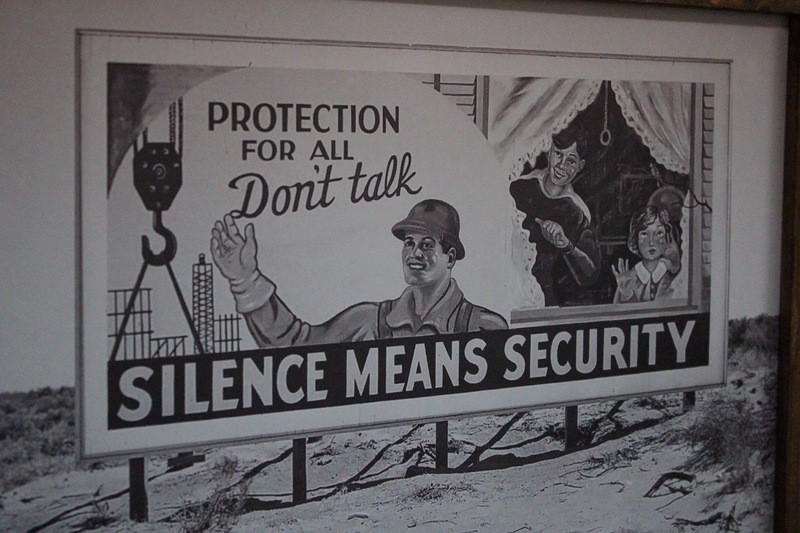 They are all commentating on aspects of the Cold War and are works by artists from across Europe. 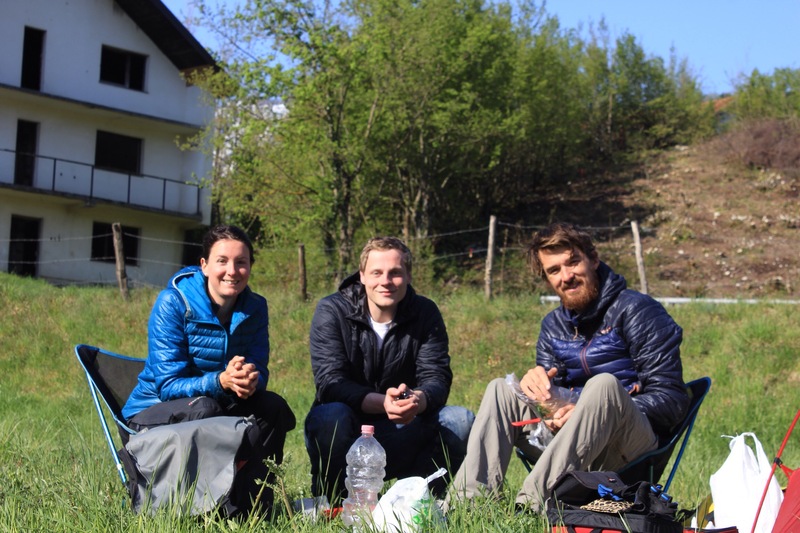 After the bunker we said our goodbyes to Phillip and cycled towards Sarajevo where we will stay for a few days before heading northwest into the Republika Srpska territory. 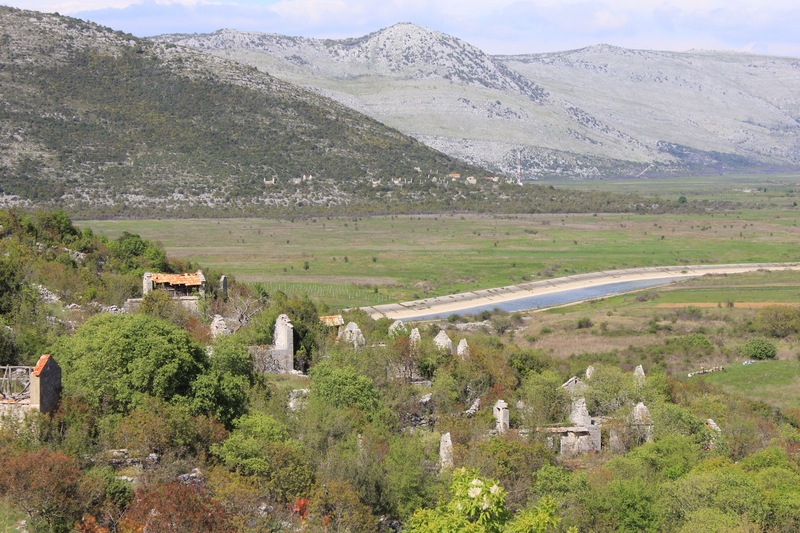 Bosnia and Herzegovina – Country No.20!!!!! 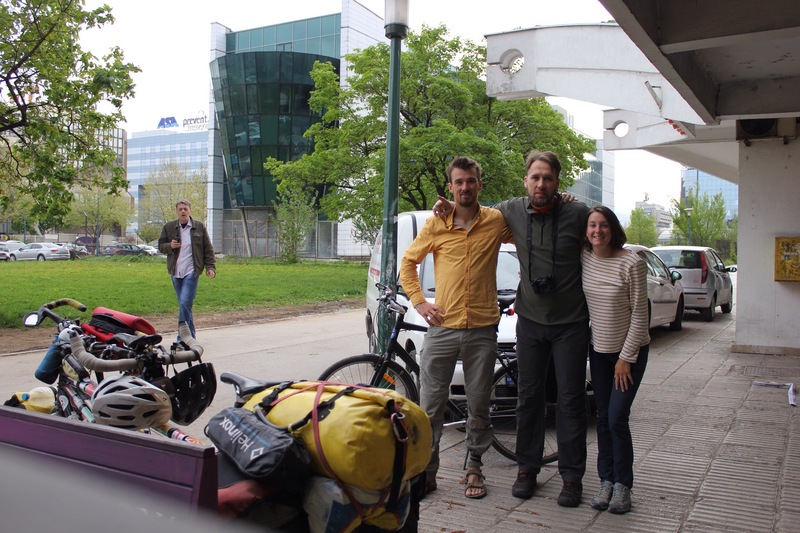 More Croatia to come but first we had a week or so to spend cycling across Bosnia and Herzegovnia. 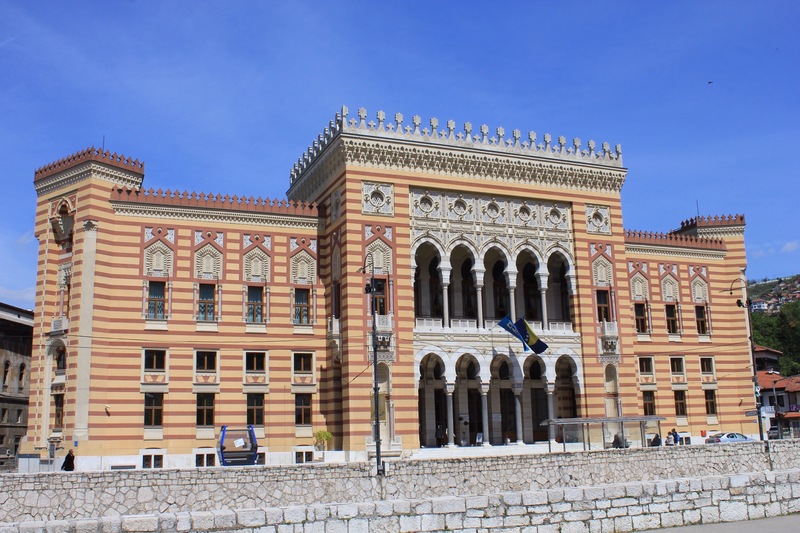 We were both keen to visit Sarajevo the capital before heading north to Banja Luka the capital of the separate mini state ‘Republika Srpska’ – more to come on that! While my memories from the early 90s belong to the hazy past of my childhood I still remember news bulletins about Bosnia. Anyone a little older might just associate the country with two terrible things: War and Genocide. Since our travels through the Balkan states my understanding of the breakup of Yugoslavia and the wars which followed are much clearer than they ever were. What happened in Bosnia however is hard to comprehend due to the conflict being fuelled by longstanding ethnic tensions between the Croats (Catholic), Bosniaks (Muslim) and Serb (Orthodox) populations – there is no doubt about it though, the war which only ended in 1995 was brutal, and despite buildings having been rebuilt, towns re-established and peace celebrated for over 20 years now, the scars that this turbulent conflict have left are still there to see. 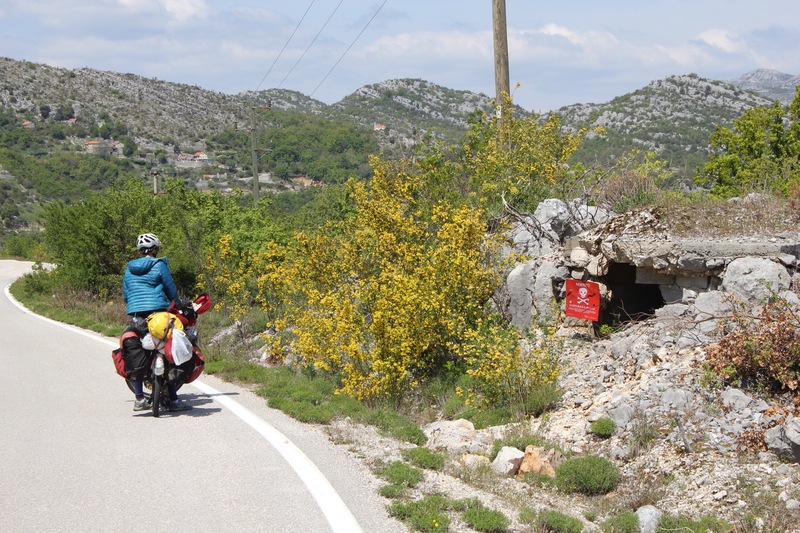 We left our campspot near Dubrovnik and headed for one of the border crossings with Bosnia marked on our map. The harsh headwind that we had battled through the day persisted and we were keen to get away from the coastal road with its busy traffic and fast moving tour busses who always overtake too close! 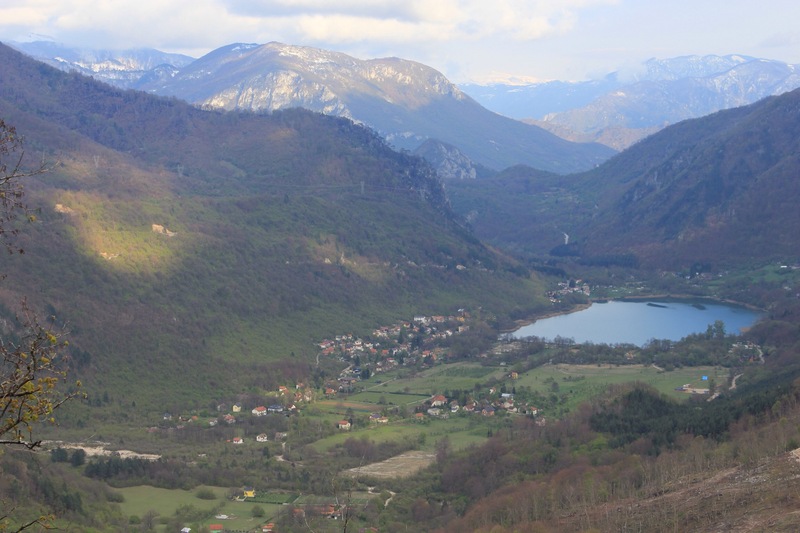 There were a few border crossings marked on the map and we chose the closest, Slano. It was a steep 15km climb up but we were both happy to be away from the main road. However, near the top we’re stopped by a nice Spanish family who tell us they were told it was closed to internationals. With only 3km left we decided we’d try anyway – we hope it was because they were in a car and walkers and cyclists were OK to cross here. Otherwise we would be forced to get back on the busy coastal road and cycle the 60km detour to . To our dismay the lone guard on duty at the top tells us we have to turn back. Paddy pleads but he doesn’t budge. There was one last thing we could try – for me to turn on the waterworks. I’m not proud of employing this tactic but sometimes it’s needed… It was time to put all those acting lessons to good use. As it turned out, I didn’t even have to cry, all it took was a wail of disbelief and a burying of my head in my hands for the guard’s eyes to soften and tell us we could cross… Trying to hide our glee and with lots of hurried thanks we jump quickly on the bike and whizz off down the hill before he can change his mind. Then we stop at the bottom to celebrate the rather overwhelming achievement of reaching our 20th country. Only 6 left! There was still a strong, cold headwind here but for now we were going downhill with the promise of some hilly terain through a big valley to come. 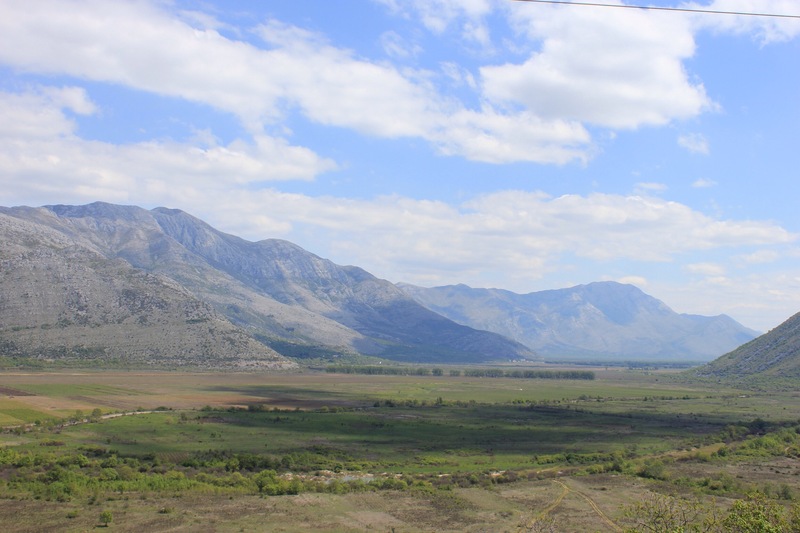 As we get to this valley however we see signs for the Ciro bicycle trail which runs all the way from Mostar to Dubrovnik along an old railway line. 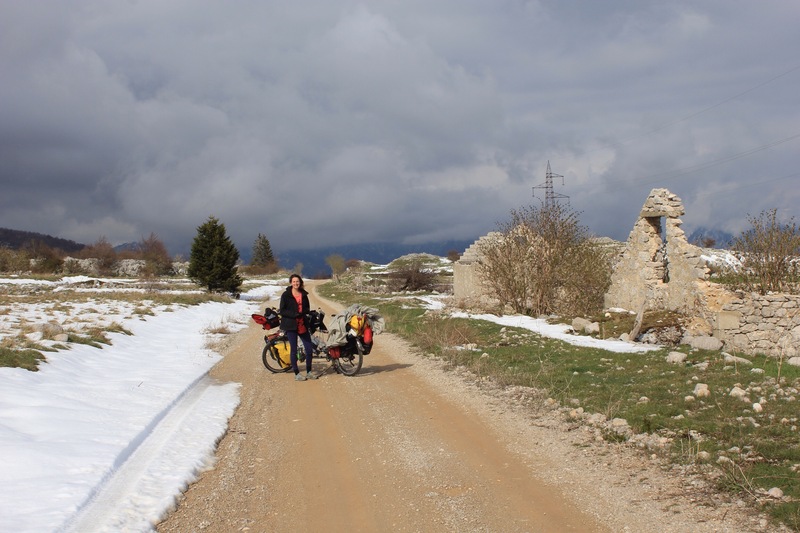 The trail has recently opened with help from the EU and a cyclist had told us about it in Macedonia. We hadn’t been able to see it on our map though so we had given up hope of finding it. It was a stroke of luck that we had stumbled across it here. Because it runs along the old train track it would cut out the majority of those small climbs as well as promise to offer great views across the landscape from its elevated position. What’s more, the route has information points dotted along it which gives the rider snippets of information about the old stations and other points of interests. Bravo EU! As we had cycled across the border with Bosnia we had seen warning signs about the potential land mines. We had also seen warning signs for large snakes; a danger that wouldn’t have resonated quite as much as the land mines except that I had crouched down and nearly weed on a huge black one just a few days before in Montenegro… Both would mean being extra sensible about where we camped with no straying from the road in remote areas! 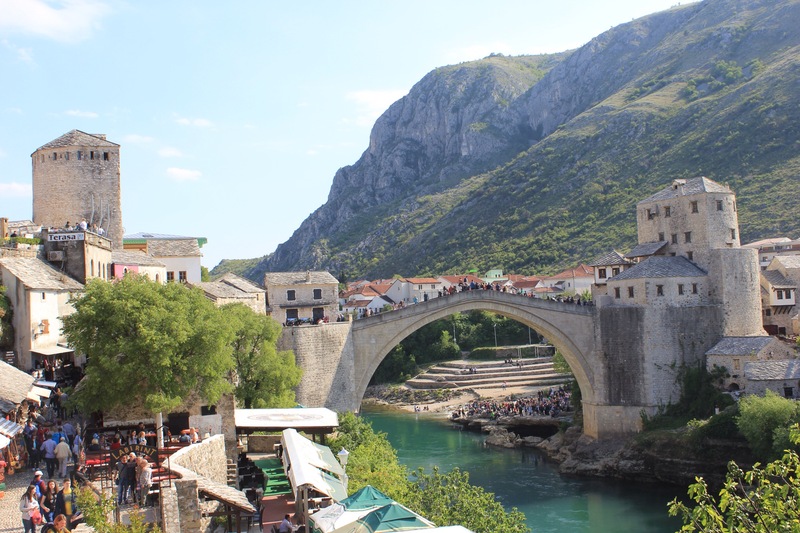 The next day we reached Mostar which isn’t much to write home about until you get to the centre which is home to the old town boasting some more lovely Ottoman architecture and the famous Stari Most bridge with its single high-reaching arch over the river. We don’t stay long – just enough time to wander about the cobbled streets with an ice cream and watch a member of the diving club jump off the bridge for tips! 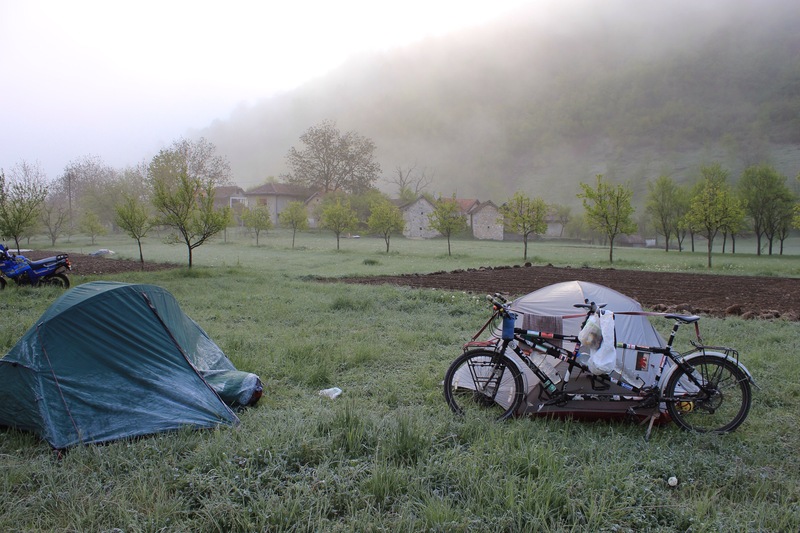 We’ll cycle out of town to find a camp spot from here before making our way to Sarajevo. Quick hair wash in the crystal waters of the river next to the cycle trail. Freezing from the melting snow on the mountains! If you look at a map Croatia is a funny shape… It has a strange section of coastline sandwiched invetween Albania and Bosnia’s only port, Neum. 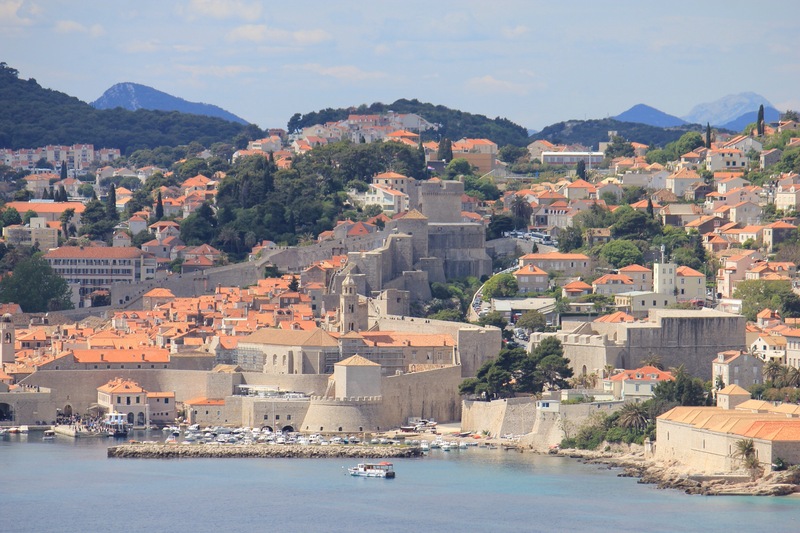 There is an important and beautiful coastal port town in this tiny bit of Croatia called Dubrovnik. 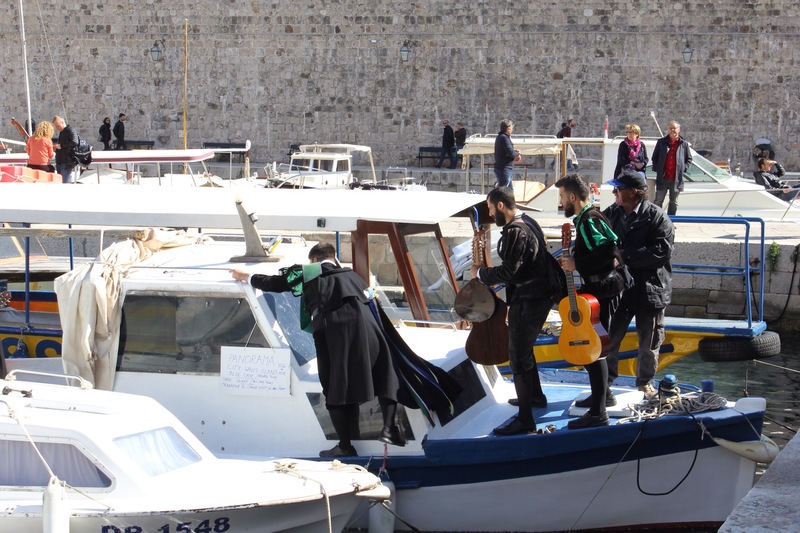 It has a fascinating maritime history although now it is more like a historic tourist town. 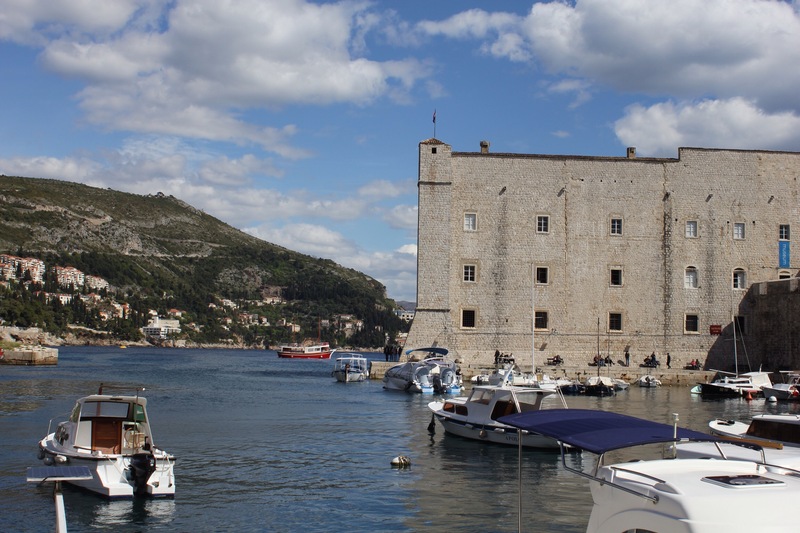 We’ll be cycling more of Croatia in a few weeks after we’ve wiggled our way up through Bosnia and Herzegovnia. 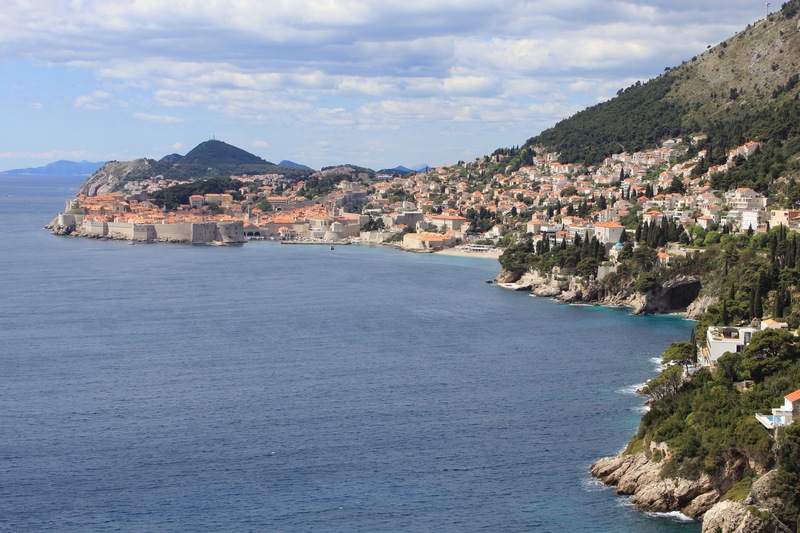 Dubrovnik was a nice place to stop for an afternoon on our way into Bosnia. Here are some nice photos.